The £2.6 billion Beatrice Offshore Wind Farm in the Moray Firth is close to completion, according to the project’s developers. The 84-turbine project reached the installation of the 70th turbine on Friday. 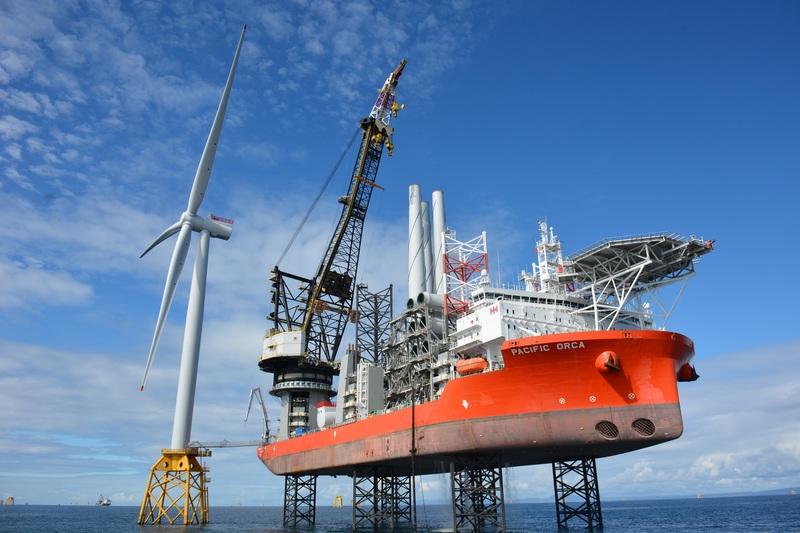 Developer SSE confirmed the first of three blades were being attached to turbine number seven from the Pacific Orca wind farm installation vessel. It generated first power in July 2018. Once complete, Beatrice’s 84 Siemens Gamesa turbines will be capable of providing power for the equivalent of 450,000 homes. Situated 8 miles off the Caithness coast, the wind farm is also the largest offshore wind farm in the world built using jacket foundations. The jackets are also the deepest water fixed foundations of any offshore wind farm, each weighing in at c.1,000 tonnes and being installed in water depths of up to 183 feet.